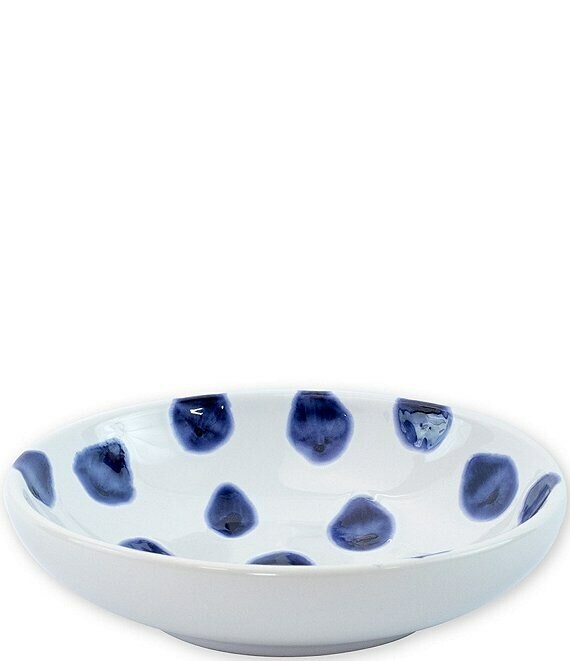 Recreate the beautiful mosaic tiles found in the Greek Isles with the Santorini Dot Condiment Bowl, painted on hard ceramic in a fun blue and white pattern. VIETRI uses natural earthenware clay that is indigenous to Italy. It is the most durable earthenware of the highest quality on the market today, using the best glazes and firing at the highest temperatures. With earthenware clay, we are able to get the variations in color and glaze, for which VIETRI is famous, that bring warmth and uniqueness to our products.